Why: I’m a little bit in love with Nicholas Evans’ writing. It started when I was 13 and I found a copy of The Horse Whisperer, Evans’ first and most famous novel, in my Oma’s house just after she had passed away. I don’t remember being so young when I found it, but I must have been because I remember wanting to read something she had read, to have some connection I guess. He’s one of the few, and certainly the only modern, authors (aside from J K Rowling who I count as on a completely different level :p) of whom I’ve read all their novels. It might be the way he captures human emotions in such a subtle and honest but forgiving way (through which he has taught me an awful lot). His politics probably help too. But mostly it’s the way he, for a few hours a day, makes you move to the seemingly most incredible place in the world, Montana. I’ve not yet properly found out why an Englishman has such an obsession with this northern state of the US, but if it is anything like he describes, I can probably guess. 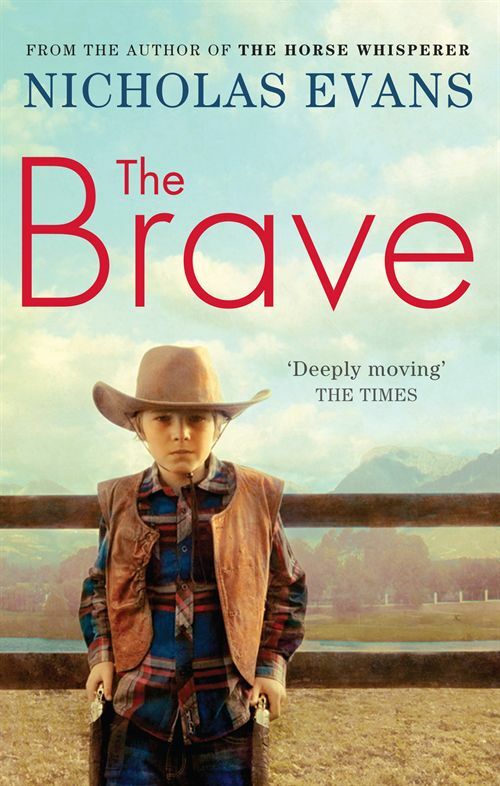 What I think: The Brave is possibly my favourite of his novels. It didn’t have the same level of ‘I’m in the middle of all this incredible imposing nature’ as his first three novels, which I missed a little, but the plot was impeccable. Told as a mashup of two stories centred on the same boy / man, one set in 1959 and one set in 2007, you could never tire of one storyline because the book would keep switching to the other. The horrors of stuffy English boarding schools, family secrets, hollywood starlets, cowboys and Indians, the Iraq war, courtroom drama, death row, Montana skylines (see it was still in there), and the most heart-wrenching bond between a mother and her son… I still can’t quite believe how much he managed to fit into this book without once (okay, maybe once) slipping into melodrama. I got nervous with his last book, The Divide, because it felt like he was trying to tackle deeper emotions but ended up doing so at the expense of the twisting plots and heart stopping description that he writes so well. I didn’t want that to be a slippery slope. But now in The Brave, he seems to have nailed the balance of all he is great at. I’ve never re-read any of his novels but I’m almost certain I will re-read this one. I also think, despite the infuriating mess (just saying!) that Robert Redford made of The Horse Whisperer, that The Brave would make an exceptional film if, as always, it was done right. I’ve also just realised (and now really hope is true) that Nicholas Evans may echo my sentiments towards Mr Redford and that a certain character in this new book may be based on that very same ‘hollywood cowboy’. Disclaimer: These are my opinions. This is not a review. I’ve always felt uncomfortable about reviews in general and will probably discuss that here sometime soon and hopefully get people’s opinions too.